As a home educating Mom of three children, educational resources have been an invaluable part of our home school. My favorite overall supplemental resource for our reading class over the years has been Scholastic Storybook Treasures read-along DVDs. Bringing popular children’s picture books “to life” on screen, this innovative DVD series for children is exceptional. What I like the most about it is that it promotes literacy by supporting early reading skills. My 3rd grade son is a very strong reader and is reading at the 5th grade level. He has been viewing these DVDs since he was a toddler and loves the entire series. My two youngest children who are in 1st grade and kindergarten also enjoy Scholastic Storybook Treasures. My 1st grader loves to read along with each story and my kindergartner gets very excited when shouting out the words or simple sentences that he is able to read while watching each story too. 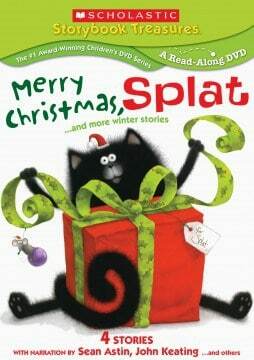 We recently enjoyed watching the Scholastic Storybook Treasures holiday title: Merry Christmas, Splat….and more winter stories! (SRP $14.95). This festive titles includes the following four stories: Merry Christmas, Splat, Fletcher and the Snowflake Christmas, Snowflake Bentley and Owl Moon. The animation is terrific and holds true to the picture books with lively, rhythmic narration from stars such as Sean Astin and John Keating. I personally enjoyed watching the bonus feature which is a behind-the scenes look at how they created to animation for Fletcher and the Snowflake….very interesting. Recommended for ages 3-7, each of the award-winning animated stories includes the easy to read text so that children can build their reading confidence as they read along to the story. Children are sure to enjoy this 37 minutes total length DVD as much as my children liked watching it. 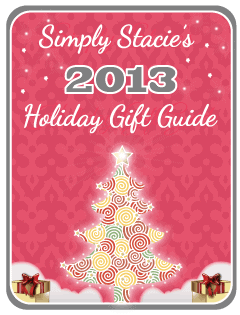 It is the perfect way for little ones to get into the holiday spirit with favorite characters such as Splat the Cat, Willie Bentley and more. You are invited to visit New Kideo to learn more about this title or to browse the entire series of Scholastic Storybook Treasures! My kids would like the Twelve Days of Christmas. Curious george rides a bike! We would also love to watch Spookley the Square Pumpkin! My son would love the Click, Clack, Moo, Cows that Type movie. The Magic School Bus: Holiday Special would be my kid’s favorite.